June 3, 2017 - Dr. Laura Ross and the Ross Center for Orthopedics participated in the American Cancer Society’s Relay for Life of Medford-Mount Laurel. Dr. Ross and the medical staff at Ross Orthopedics were all very excited to support the American Cancer Society's Relay for Life! We appreciate the generous participation of our patients and friends of Ross Orthopedics who supported our team as we proudly contributed towards the American Cancer Society's movement to fight every cancer in every community. December 26, 2017 - LISTEN NOW! 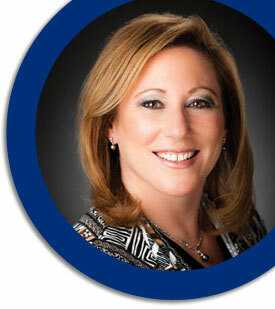 To Dr. Laura Ross’ interview as a featured Guest Speaker on SportsRadio 94WIP. 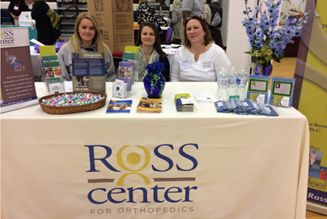 Dr. Laura Ross and the Ross Center for Orthopedics greeted attendees and guests at the 2016 Camden County Women’s Health Conference, hosted at Eastern Regional High School in Voorhees, NJ. The event included expert presentations and information on women’s health, nutrition and exercise, family, mind, body and spirit and professional and financial wellness. Dr. Ross and the medical staff at Ross Orthopedics were all very excited to support the American Cancer Society's Making Strides Against Breast Cancer! We appreciate the generous participation of our patients and friends of Ross Orthopedics who supported our team as we proudly contributed towards the American Cancer Society's research to find a cure for breast cancer. women's health, nutrition and exercise, family, mind, body and spirit and professional and financial wellness.